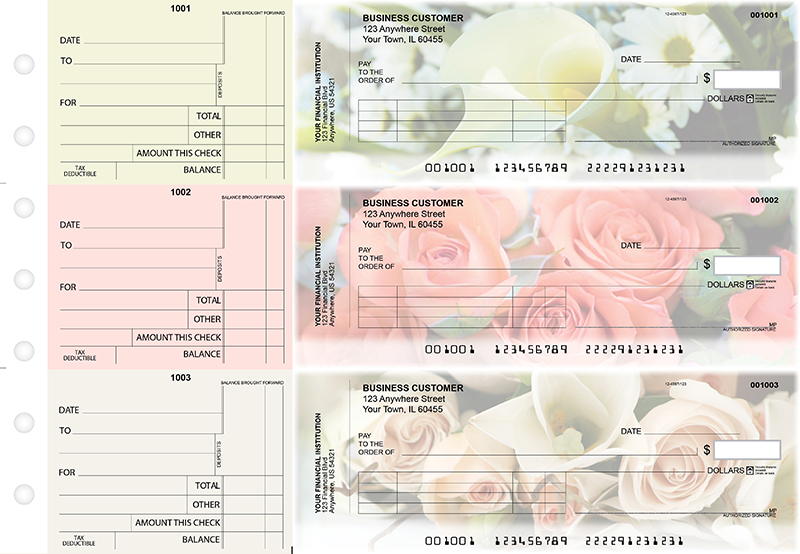 "Florist Standard Invoice Business Checks" product is already in your cart. 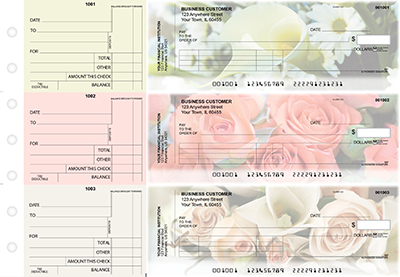 Standard invoice checks eliminate the hassle of paying multiple invoices. This stub is user friendly and ideal for accounts payable with bold clear font and large writing areas for ease of use. Each stub has the check number located at the top and an indicator box for tax deductible transactions. The large voucher located on the check eliminates hassle allowing up to 4 different invoices entries, and is great for recording the necessary information on paid invoices.